Every third or fourth game glitches and I have to close the app. Very annoying!! Also, in multiplayer zen mode it won't let you get combos, which is so sad because that's how I win. Otherwise, I love Fruit Ninja. Fruit ninja is the one app that I've had since I first got my iPod Touch. I really like the game my only problem with the update last month is that I can't get passed Level 42. So please fix it so Fruit Ninja won't be aggravating anymore. Please bring back the online play option in multiplayer. Its nice to see a company stick with a game this long. Well done on the most recent update. The new blade powers each make the game feel different. I updated the game to the latest version and there's now new features what so ever. Well done Halfbrick, you have redeemed yourselves. This fix for the previous update is great, with the new dojo and blade abilities and the gameplay-breaking glitches fixed, I finally feel like playing Fruit Ninja again. Many of my complaints from before are no longer valid, even the one about starfruit. Perhaps I was too one sided and didn't realize that starfruit made it TOO easy to obtain power-ups. As great as this is, there are areas I could see improvement. Leveling still feels like more grinding than it's worth, and I saw nothing wrong with bonus exp for the first five games of the day, perhaps providing a slightly lessened boost than before. Moreover, there is the matter of the old glorious dojo main menu and the apple-slicing loading menu which I feel should be re-implemented. They both really got me into the mood for the game. While I cannot give a perfect score, this definitely deserves praise for its comeback. Once again, well done Halfbrick. I said I would re rate the game with the next update so I'm keeping to it. Yes it's better now. The blades and dojos have fun and unique powers now that incorporate some of the previous festival games. Hopefully I won't get demoted now but the game really did get better. Things I like. 1. No more having to buy and level up to get blades 2. No more tournament 3. Blades have powers 4. Really fun 5. Always challenging. 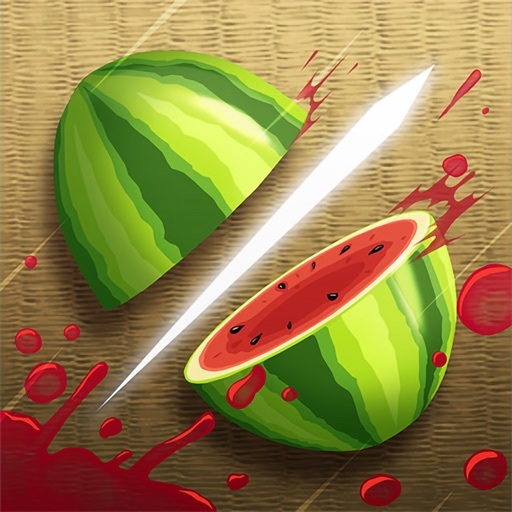 I like the update that brought back the classic fruit ninja. Keep it up guys!